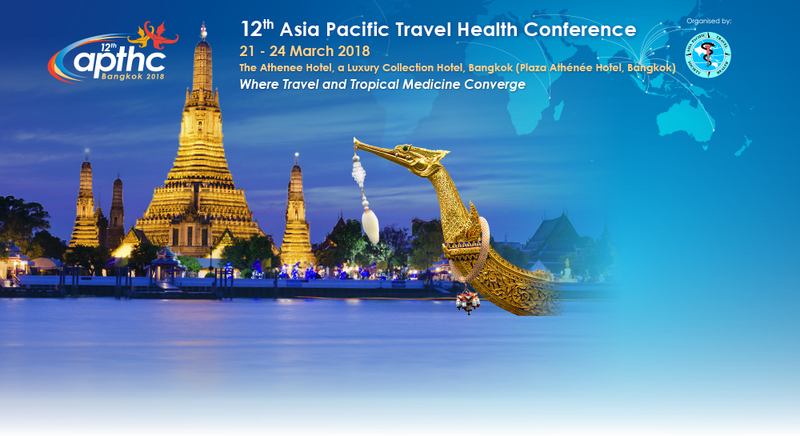 Like our previous conferences, the 12th Asia Pacific Travel Health Conference (APTHC 2018) will provide healthcare professionals in the field of travel medicine with stimulating and enriching plenary sessions, free paper sessions and symposia covering such areas as emerging infectious diseases, preventive medicine, primary health care and vaccinology. Themed “Where Travel and Tropical Medicine Converge”, APTHC 2018 will provide extensive continuing education opportunities and will present unlimited possibilities for networking and career advancement – networking with colleagues and the distinguished regional, international and local speakers who will be leading the programme, and career advancement through the presentation of your research. We invite all the region’s clinicians, physicians and other healthcare professionals in the field to take full advantage of all the opportunities offered at APTHC 2018: attend the full comprehensive scientific programme, get your name out there with a presentation, catch up with friends and meet the men and women who are shaping the future of travel medicine, and enjoy as much of our fabulous host city of Bangkok as you can. If you are a travel medicine practitioner or would like to be – APTHC 2018 is where you need to be on 21 – 24 March 2018. Register now to secure your spot at this highly anticipated conference! Join ISTM’s Satellite Symposium on Vaccine Preventable Enteric Infections Relevant for International Travellers on March 22, 2018 to find out how to improve vaccination in those most at risk.